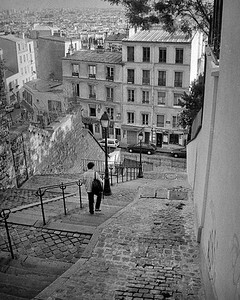 We came across these stairs while walking around Montmartre in 2003. Took a few shots then sat at the cafe across the street for a while. 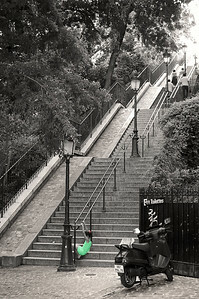 I later saw these stairs in an antique French postcard. Nothing has changed. The Eternal Idol - August Rodin. 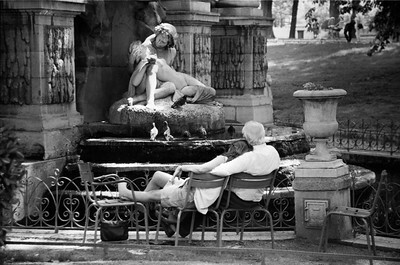 I shot this in 1997 with Agfa B&W film during my first trip to Paris. Later it was scanned and adjusted in Photoshop. 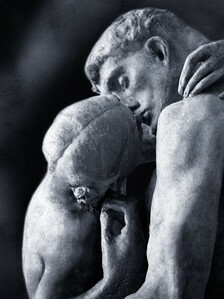 The Kiss - August Rodin. 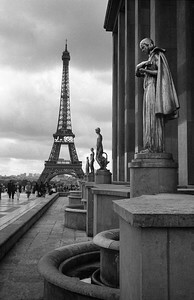 I shot this in 1997 with Agfa B&W film during my first trip to Paris. 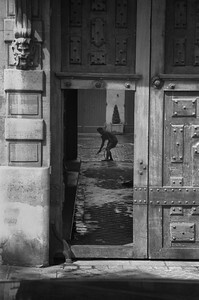 Later it was scanned and adjusted in Photoshop.